HTC's densely populated high-end lineup has a different model for everyone, but not one that covers all bases. It could be argued that the company attempted to specifically cater to different users in a bid to grab a wider market share. In the end we get some distribution of features among a myriad of devices. Each model comes with a set of compromises and instead of getting praised for what it does have, the One M9 generation of smartphones ends up being an easy target for criticism. 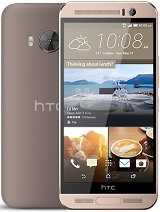 The HTC One E9+ is the phablet in the range and that's its main selling point, simply because the rest of the models are smaller. But what if you want the large diagonal and, say, a fingerprint sensor? You'll have to look elsewhere. Also, the metal unibody of the One M9 could be scaled up to 5.2 inches for the M9+, but not to 5.5 inches? Yes, the HTC One E9+ has an excellent 5.5-inch QHD display, which, we'd recommend in a heartbeat. It may not be the brightest, but there's little fault to find with it elsewhere. It's not so with the choice of chipset. If looked at CPU benchmarks alone, you'd conclude that the E9+ is ready to fight the big boys. Yet graphics performance is nowhere near the competition as the GPU is simply not in the same league as the processor. The two are so unevenly matched that it makes you wonder how Mediatek decided to pair them in the first place. Why HTC went with it is the next question, but we'd probably need to ask the accounting department to find the answer. HTC's phones were never the most compact, but at least they have the stereo speakers to show for it. The E9+ is yet another high-end handset to come with less than ideal footprint, but some music lovers might not mind it too much. On a positive side, the software package is as good as it gets - Sense is as polished as ever in its 7th iteration and remains one of the better Android overlays. It's stylish, consistent between apps and offers plenty of opportunities for those keen to personalize. The video player could use some work, but HTC apparently thinks that users download third party apps to handle that task anyway and a basic solution is all that's needed just to get going. 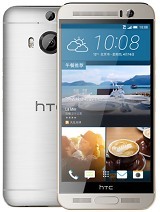 With the UltraPixel tech sidelined, the camera is no longer the main source of complaints with HTC high-enders. While admittedly a notch below the very best, the newly adopted 20.7MP shooter is capable of some fine images, which stand up well to pixel-level scrutiny. The sensor is complemented by a very proficient app, another testament to the software engineers behind Sense. The phone looks attractive, though materials aren't of particularly high quality. The display is gorgeous in every way - sharp, with neutral colors, excellent viewing angles and one of the highest contrast ratios we've seen. Its maximum brightness is only average though. Battery life is nothing spectacular, the 59-hour endurance rating is average and the balanced numbers suggest the obvious - a larger capacity cell would have been welcome. Latest version of Sense UI is feature-rich, without being overly heavy, offers a lot of room for customization. Mediatek Helio X10 delivers solid CPU performance, but the GPU fails to keep up. Primary camera outputs good-looking well-exposed 20.7MP images, though colors are a bit warm. 2160p video is very detailed but with very narrow field of view; 1080p output is wider, but is trailing behind the competition in terms of detail. Comprehensive multimedia package with a capable gallery and music player. The Zoe app adds a new dimension to storing and sharing memories. Standard-issue video player, which lacks support for subtitles, MOV videos and AC3 sound, though most other codecs are covered. 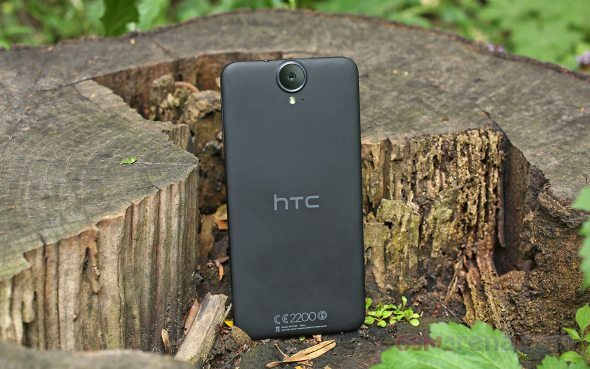 Every comparison of the One E9+ has to start from within HTC's own camp. You have such closely spac'd models that selection between M9, M9+, ME and E9+ comes down to only a few key features - display size, materials, fingerprint sensor. Going compact (well, by HTC's own standards), you're left with the 5-inch One M9, which is also FullHD unlike all the others. If you insist on the metal unibody, you can choose between the M9 and M9+. The E9+ lacks a fingerprint sensor, which you can find on the M9+ and the ME. HTC fans are spoiled for choice here, but there's no one phone to have it all. 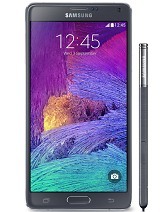 Arguably the phablet to beat, the Samsung Galaxy Note 4 has a fingerprint sensor and the S-Pen for productivity. It is substantially heavier, but is shorter despite packing a larger 5.7-inch display. It also has a superior build with a metal frame all around it. The removable battery on the Note 4 is another arrow in its quiver, not to mention it last much longer. The Note 4 is a bit more expensive though, so it's not a clear-cut choice. 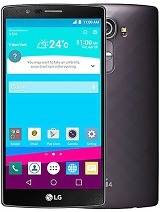 The LG G4 is more compact and also wins points for style with its gentle curves and leather back cover, which is also removable, giving access to the battery. Megapixels aside, the G4 has a better overall camera. The LG custom skin however is closer to TouchWiz than Sense, so it caters to a slightly different demographic. 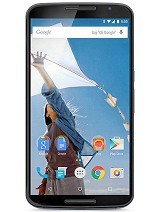 Motorola's Nexus 6 is heavier and larger in every direction, but has a 6-inch QHD AMOLED display to show for it. Its battery endurance isn't that much better, but it does support wireless charging. And being a Nexus devices, it's guaranteed to get timely updates. 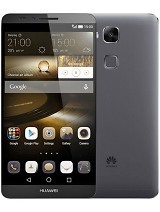 The Huawei Ascend Mate7 packs a 6-inch screen in the same height. The extra weight is more than made up for by the 4,100mAh battery, which outlasts the E9+ by a mile in every meaningful aspect. The FullHD resolution does mean less ppi, but also helps the Mate7 perform better in the graphics department, though it is far from the best in this respect. What it does have is one of the best fingerprint sensors out there, but until it gets Lollipop it's not an easy recommendation. It's a pretty tough crowd to be facing and the One E9+ is hardly looking like the favorite in the battle. Yet, we mustn't forget that this is a very solid smartphone that does a lot of things right and has plenty going for it. A simple price cut might be all it takes to turn this one from a flagship underdog to a king of the upper midrange.